Preventive maintenance is always a must, especially in industrial plants where equipment malfunction could cause employee injury and costly downtime. Predicting when problems will arise allows time for scheduled shut downs, instead of shutting your process down when you need it the most. 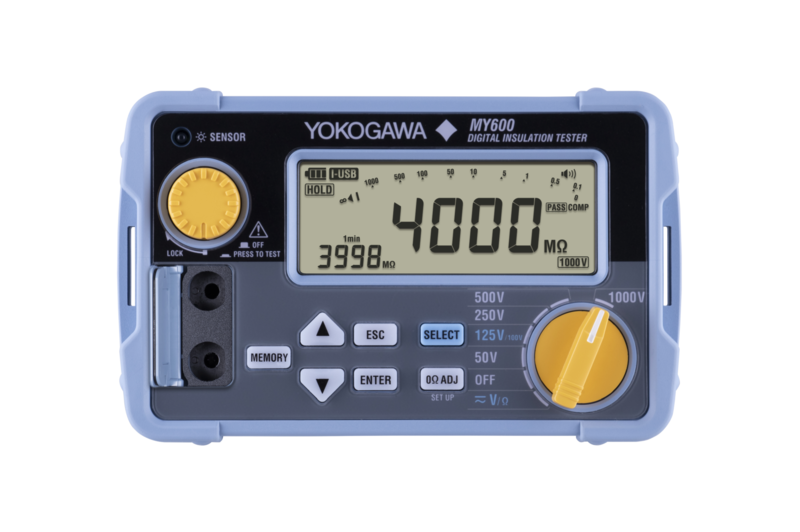 Yokogawa offers many varieties of analog and digital insulation testers, with the capability to test up t0 1000Vdc, all designed to quickly and accurately diagnose your insulation quality. The MY600 Digital Insulation Tester has enhanced operation compared to the conventional model, by using a shortened measurement time and color indicating judging function. This is a new concept in insulation testing and includes enhanced communication to a PC or tablet.